Google recently pulled support for a YouTube app on the Amazon Echo Show smart device. The Alexa-powered smart speakers had support for YouTube video playback, but Google unexpectedly stopped supporting the device. Launched in June 2017 at $230, Echo Show is the first speaker to have a display, but now the pricing has come down to under $200. Even though Amazon is calling the price drop “Fall Sale”, it is hard to ignore that this could be an outcome of restricted video playback support on the speaker after the YouTube app was pulled. With the newly restricted capability to play videos, the company is now left with its own Prime service for video playback on the Echo Show. Also, Prime lacks the huge video database of YouTube. Google stopped supporting the Echo Show after a violation of terms of service by Amazon. The $30 price cut in the Echo Show pricing is an example of the how lack of YouTube app support has affected the device’s functionality. It is now limited to specific video content rather than a vast library on YouTube. Of course, Amazon’s Echo Show can do a lot more than just playing videos, but it is one of the top capabilities of the smart device. 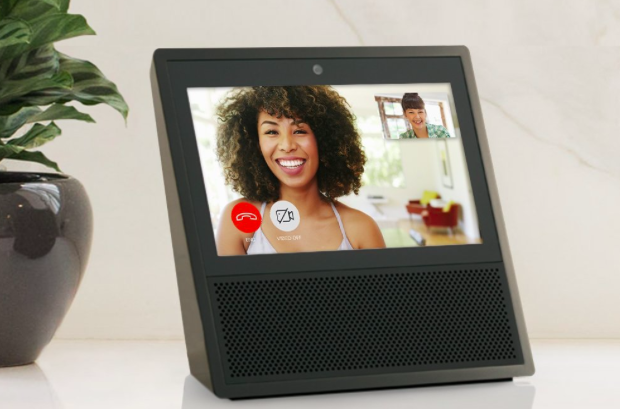 In addition to playing videos, Echo Show can also stream feed from home security cameras such as the Netgear Arlo Pro 2. Amazon has not been vocal about the sales performance of its Echo lineup, so we have no clue about how YouTube’s disappearance has affected sales of the Echo Show, but in the review section on Amazon, we have found some customers complaining about lack of YouTube support. Many buyers even stated that they bought the device for YouTube streaming, so these users are now frustrated since they can no longer stream YouTube videos on it. Google’s sudden decision to remove YouTube support from Amazon’s Echo Show also has many undertones. Google calls it a violation of terms of service, but there is more to it than that. Apparently, Google has been working on an Echo Show rival codenamed “Manhattan”. It makes sense why Google would strip YouTube support from Amazon’s Echo Show, since it has plans to launch a rival product. And without YouTube, Google has successfully impacted Echo Show.